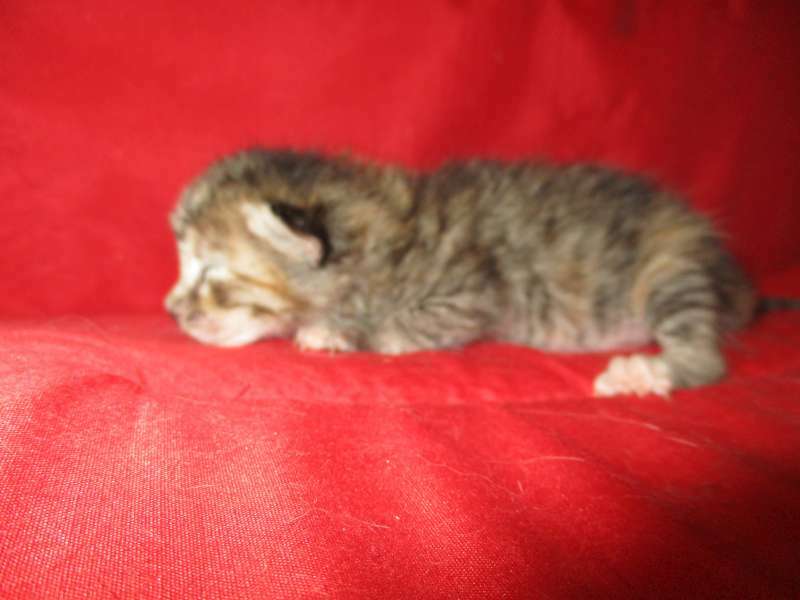 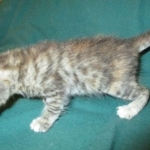 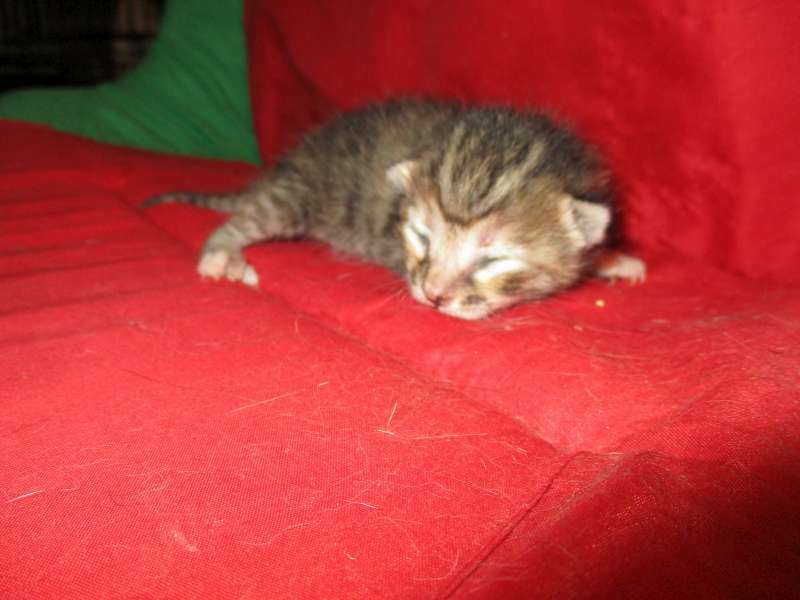 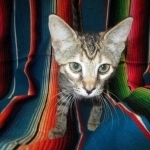 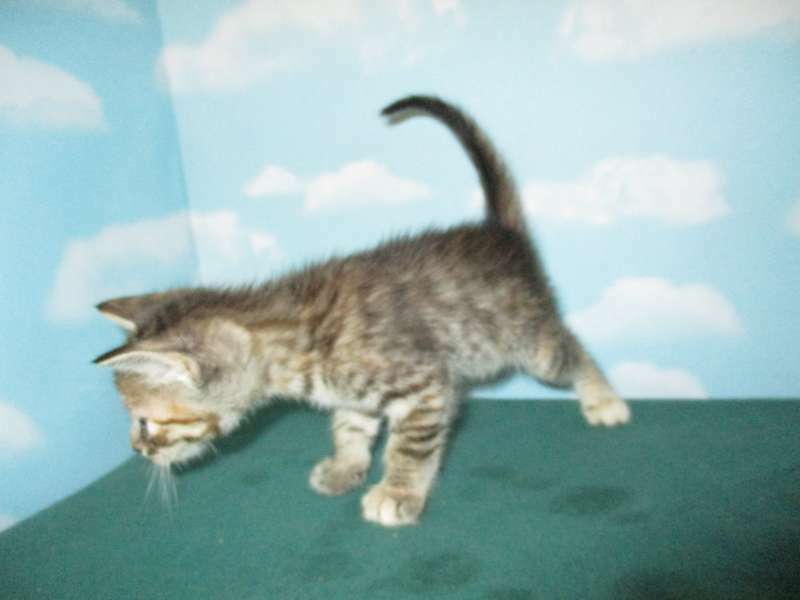 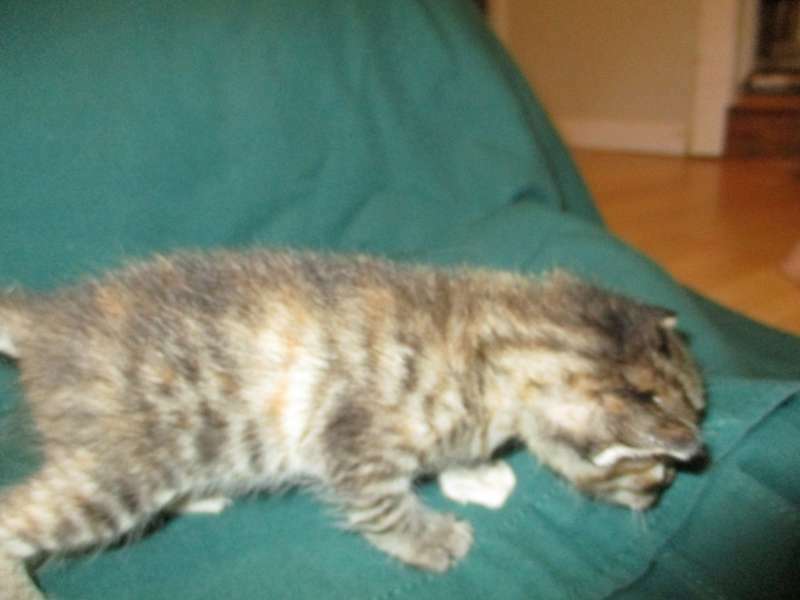 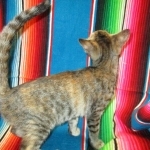 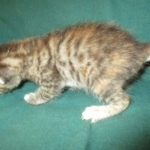 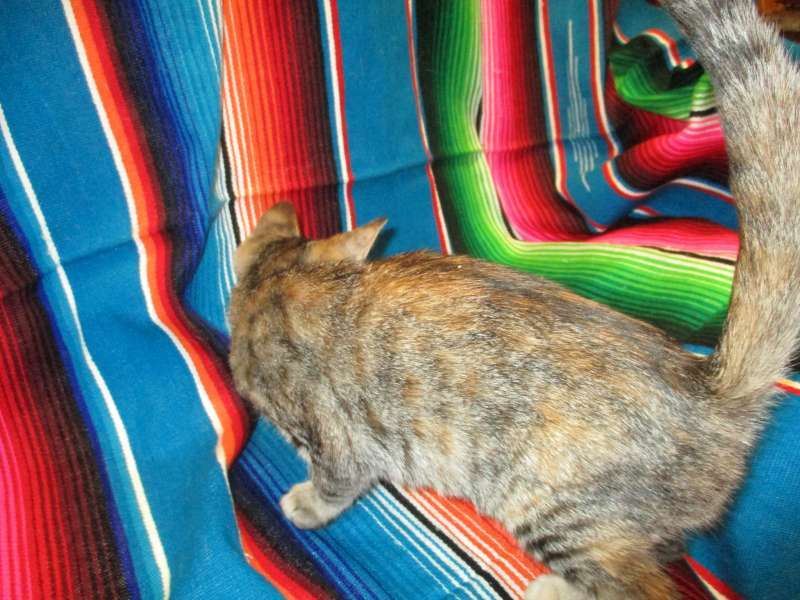 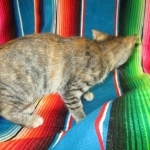 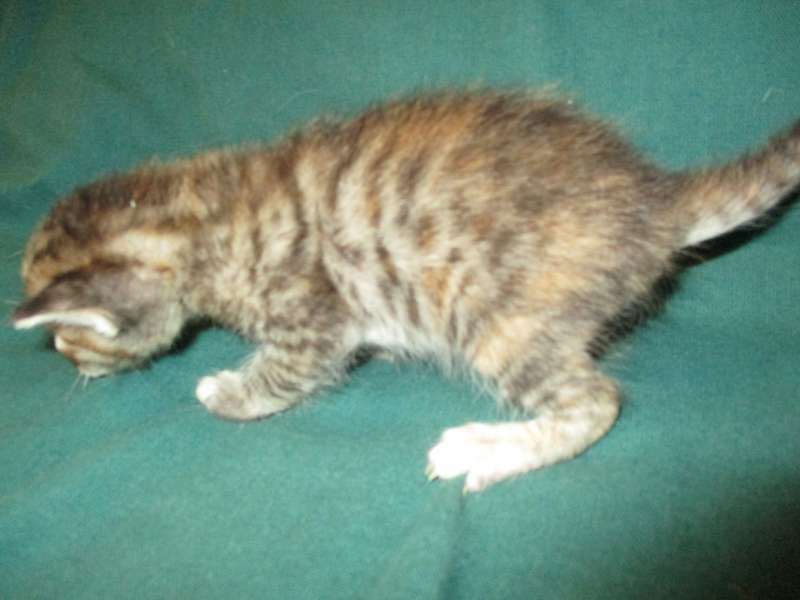 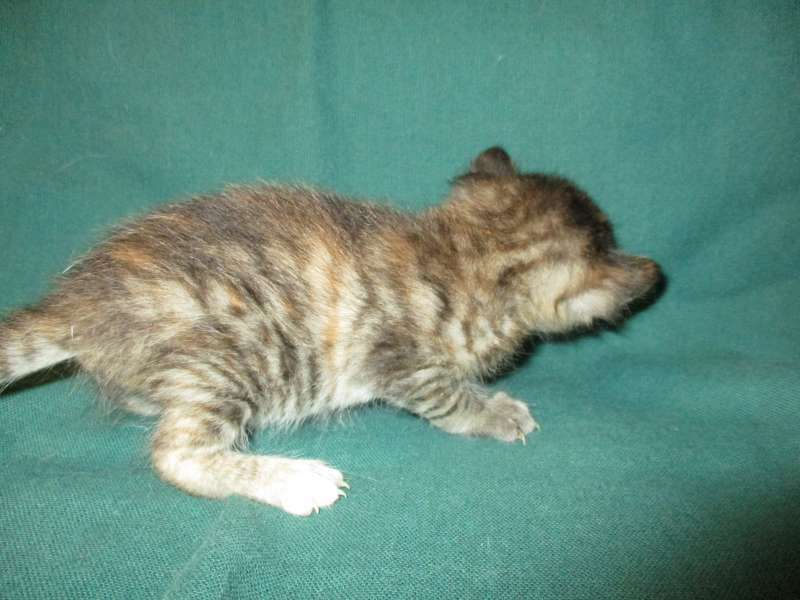 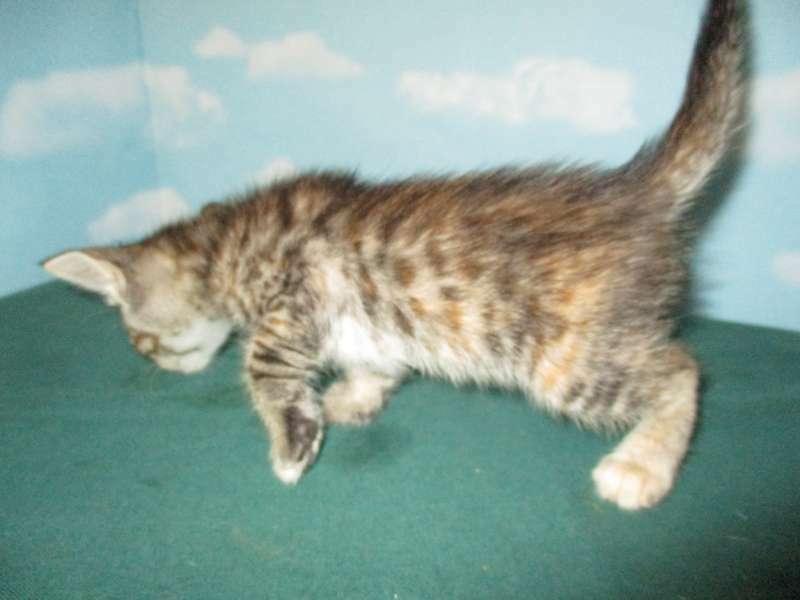 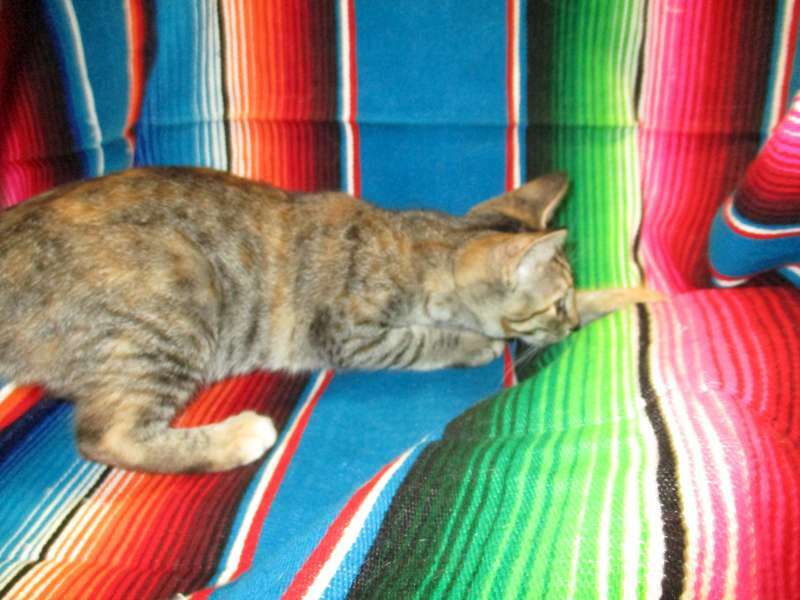 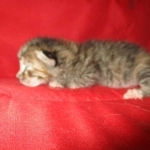 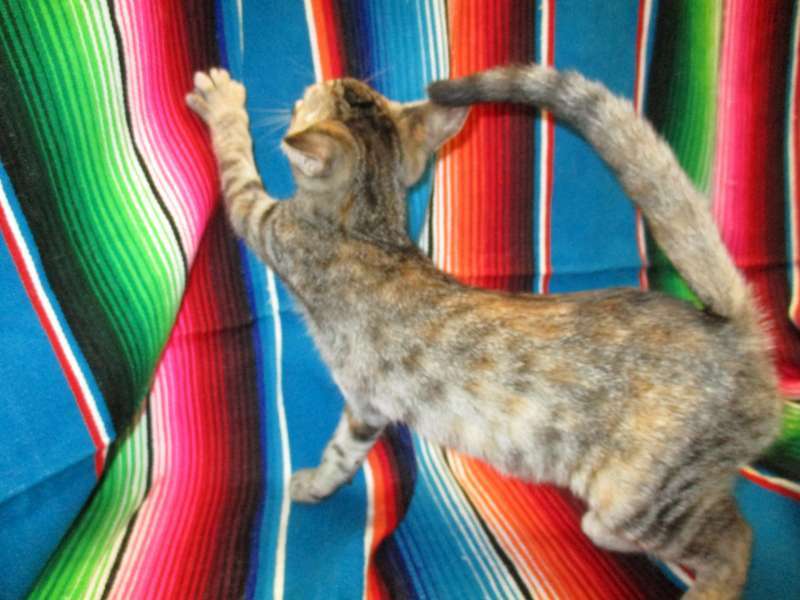 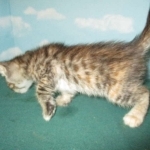 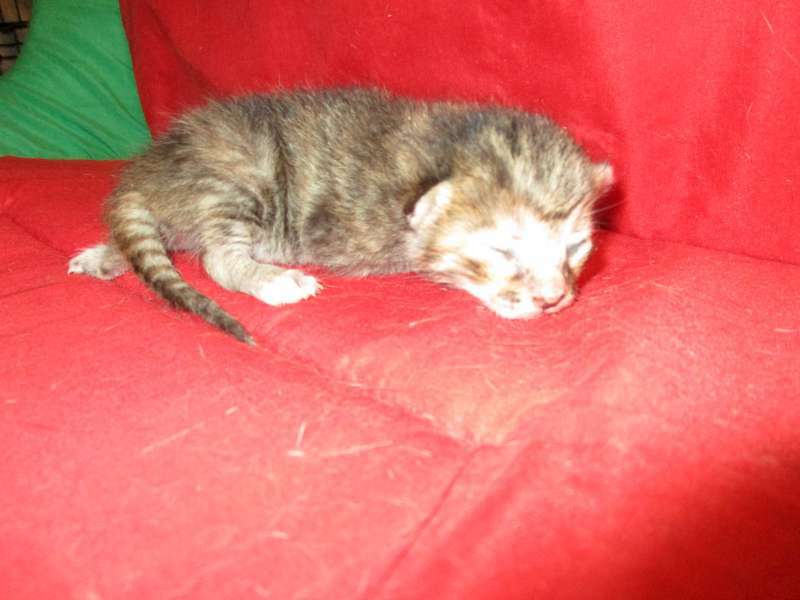 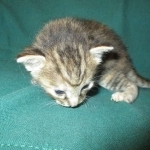 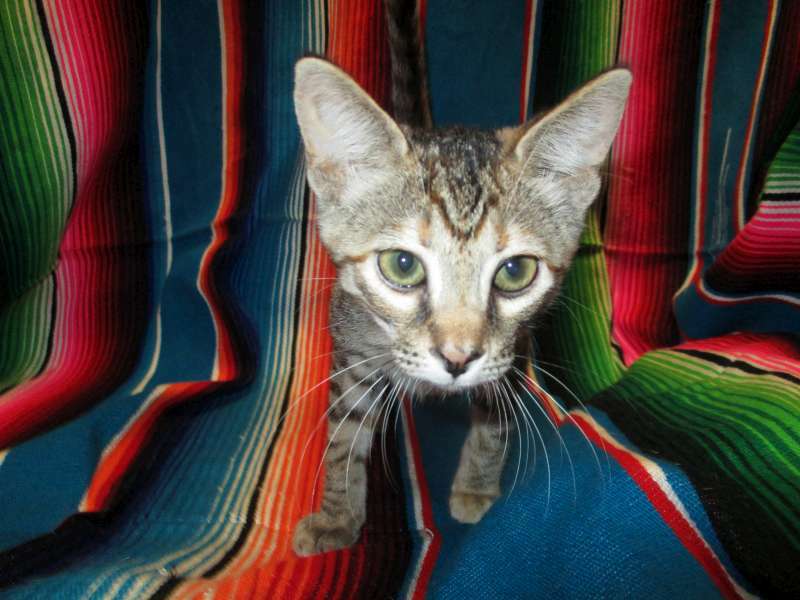 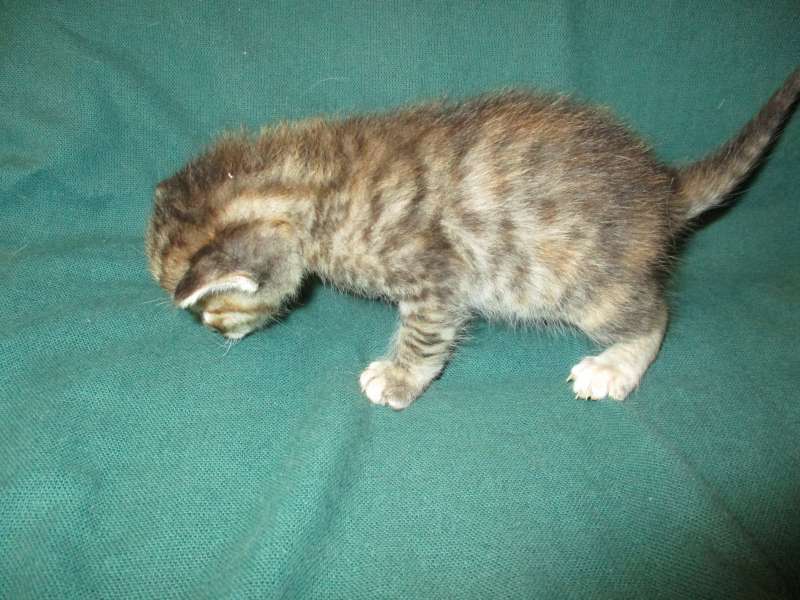 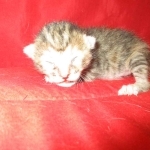 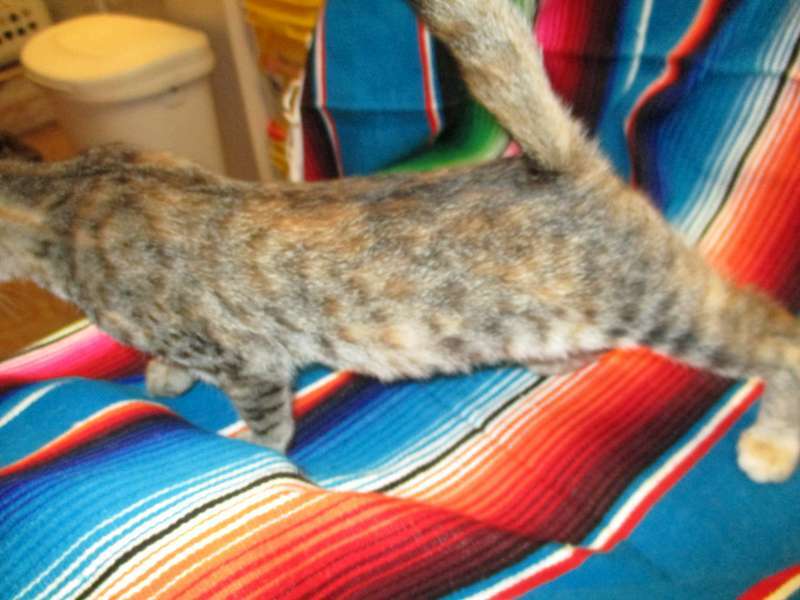 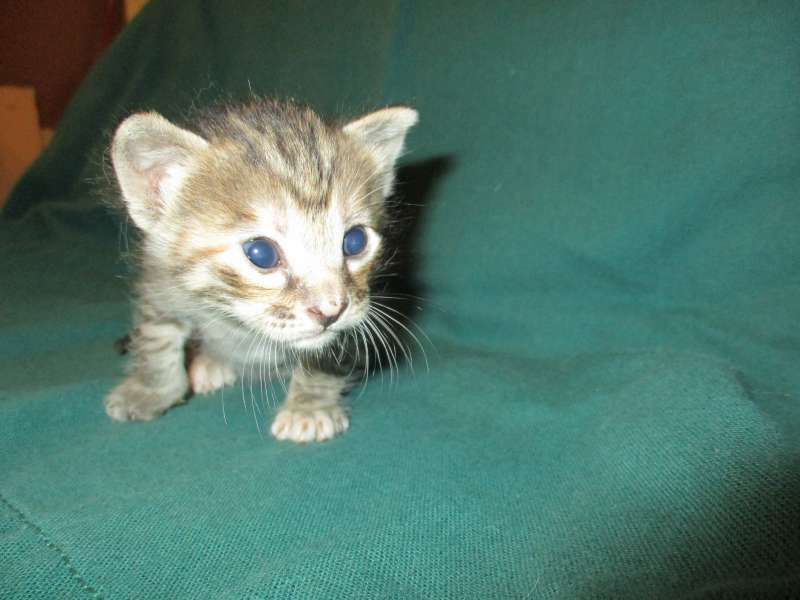 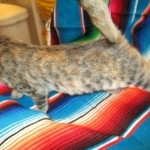 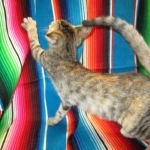 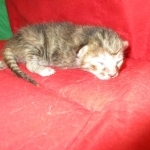 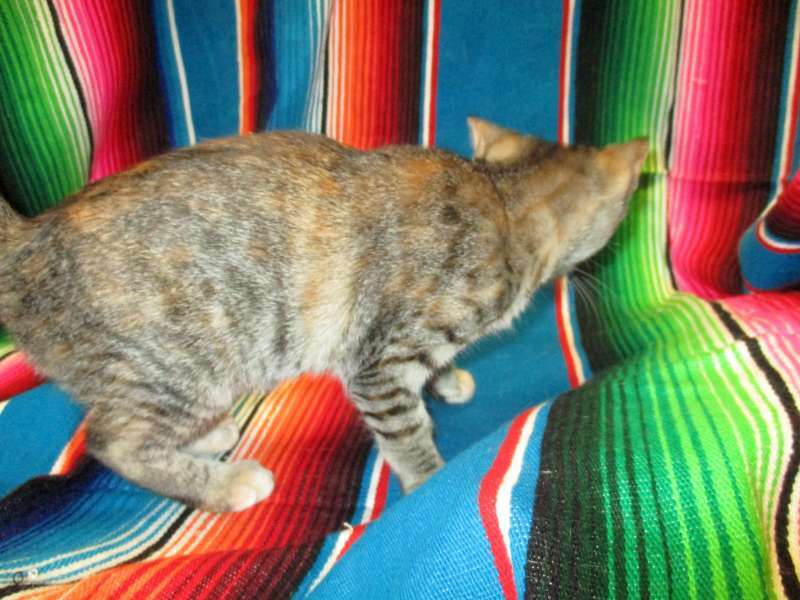 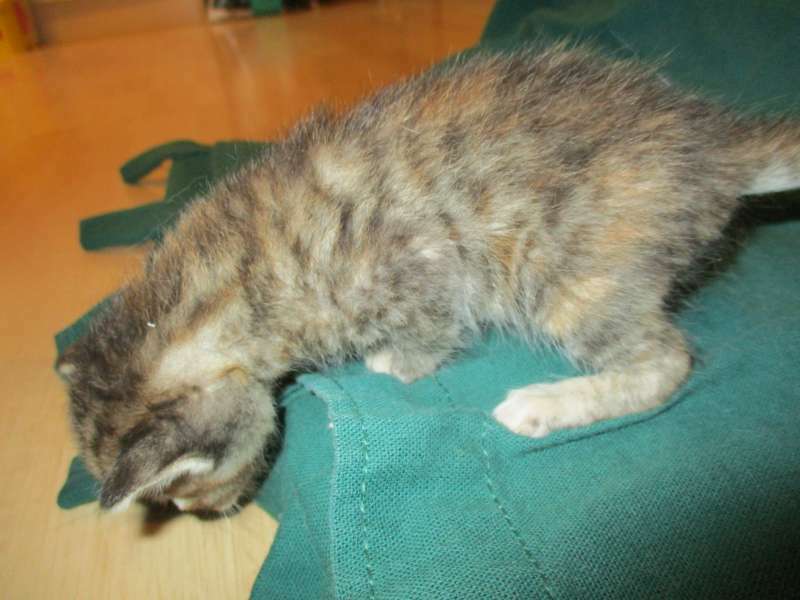 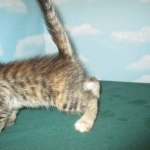 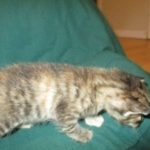 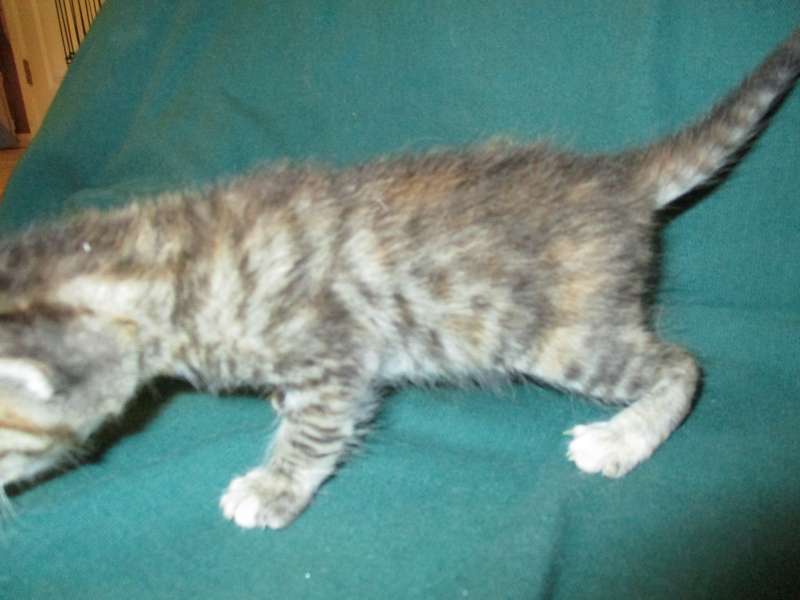 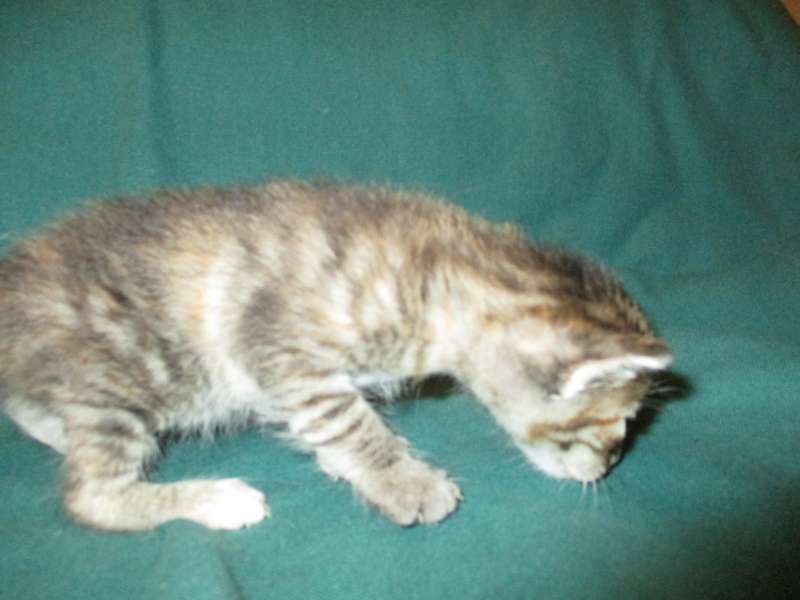 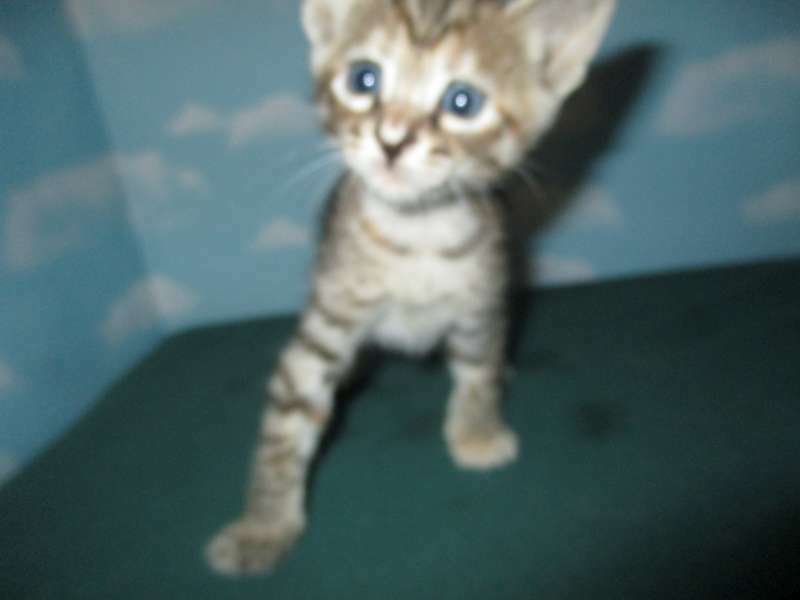 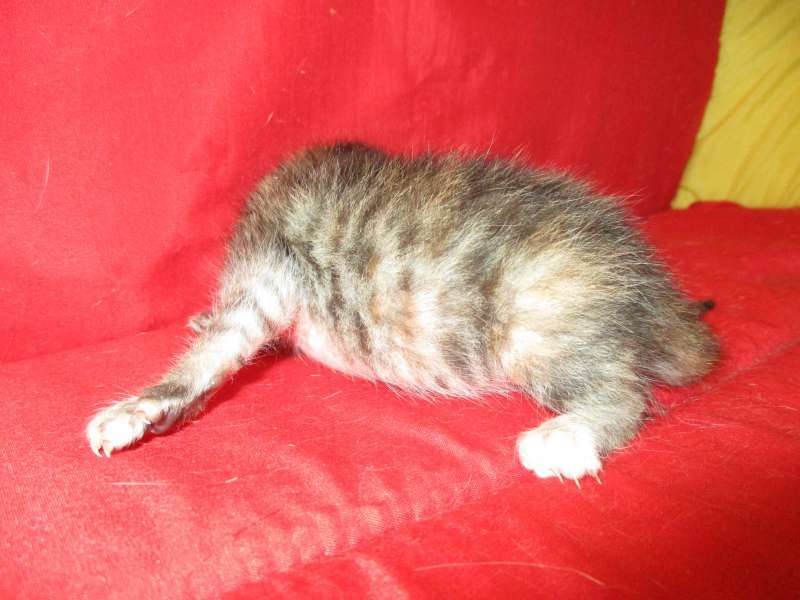 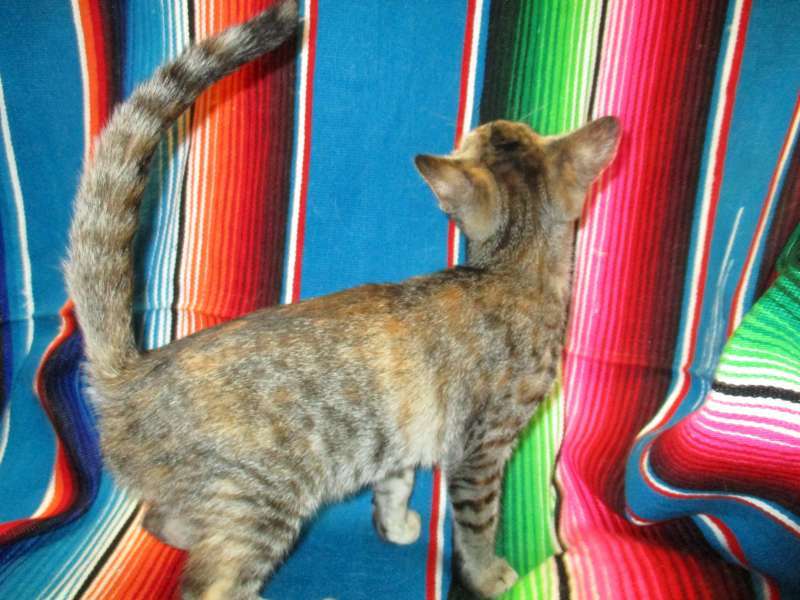 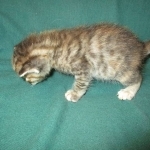 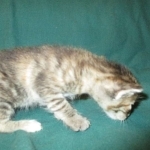 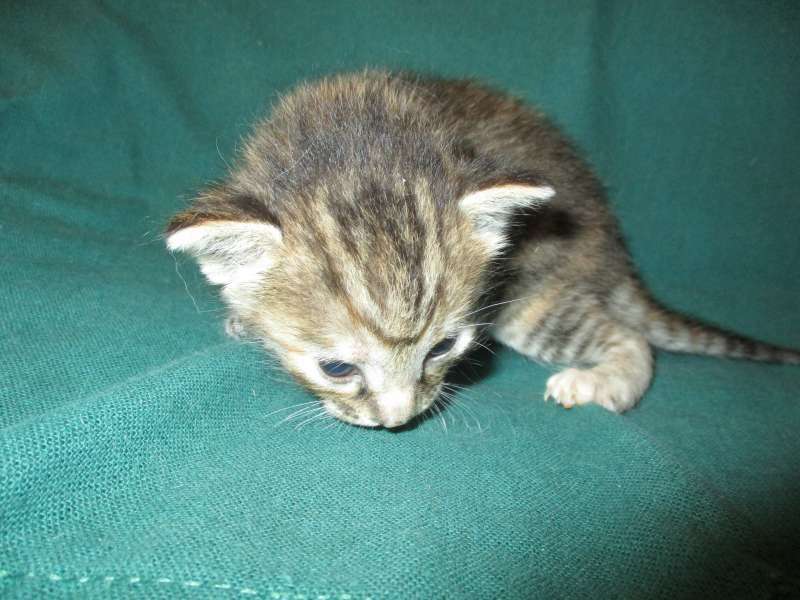 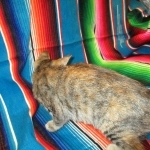 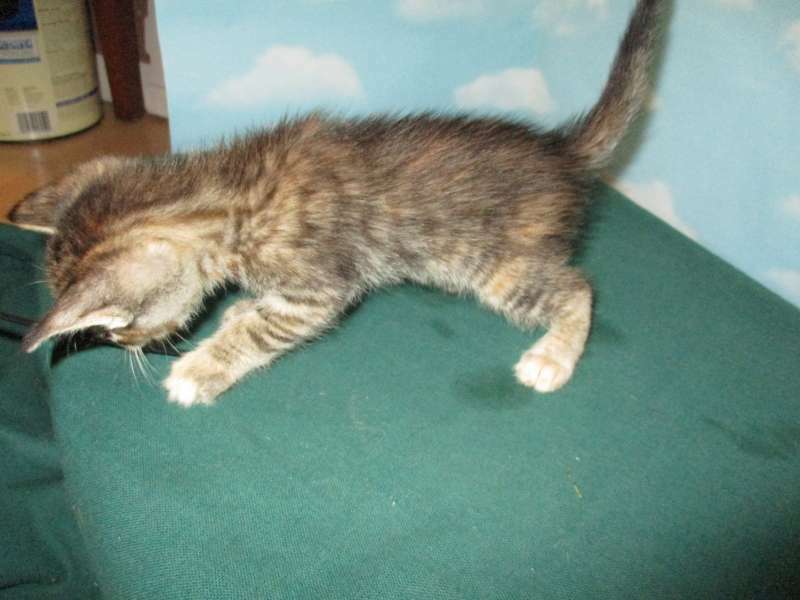 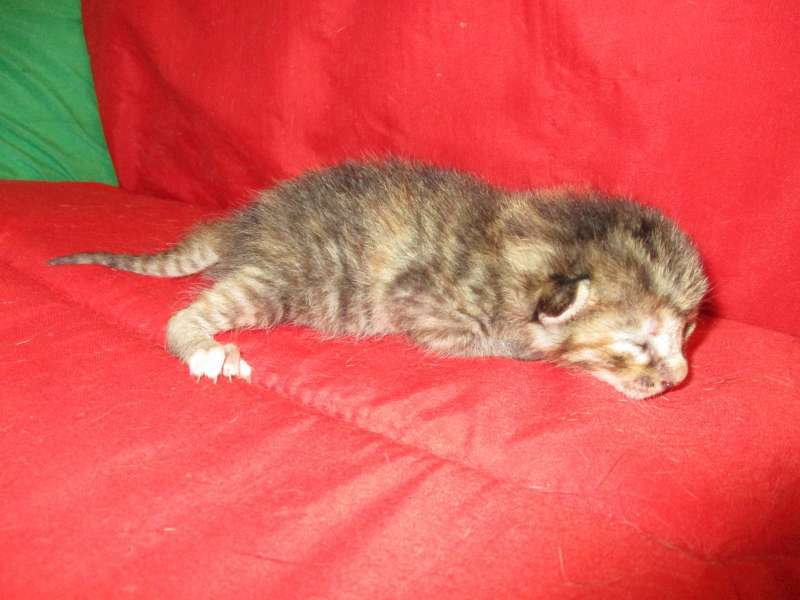 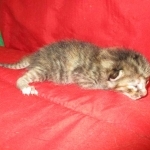 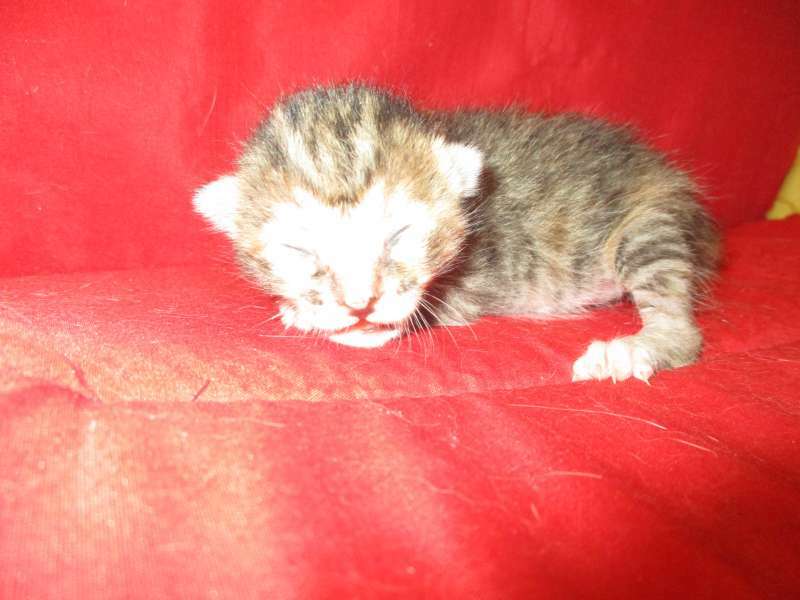 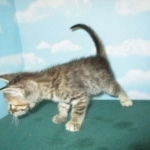 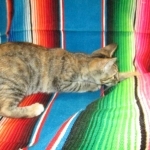 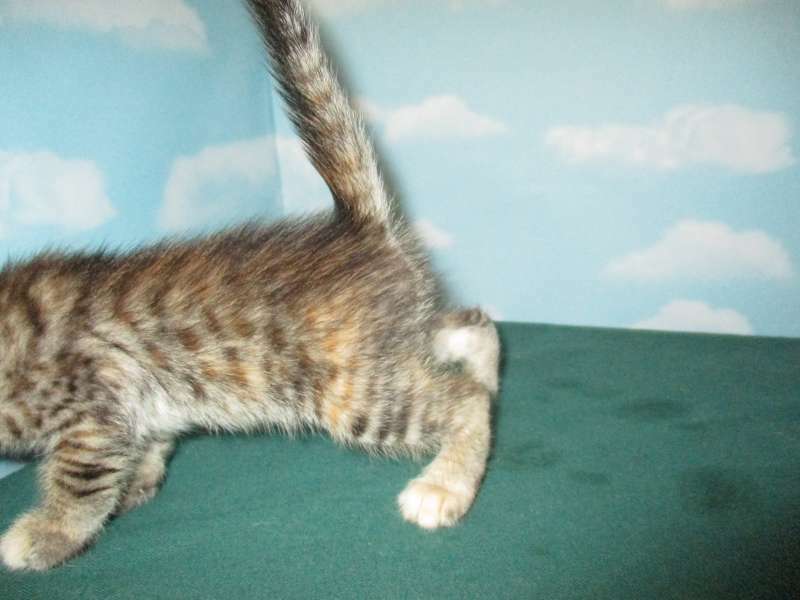 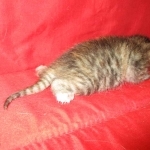 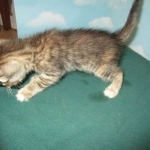 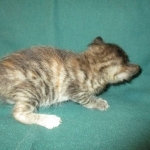 This precious and unusual kitten has both Brown (black) spotted patches and Ginger with brown spotted patches. 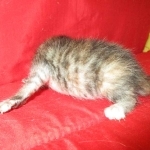 Non-standard in color she will be very unique and make a loving pet. 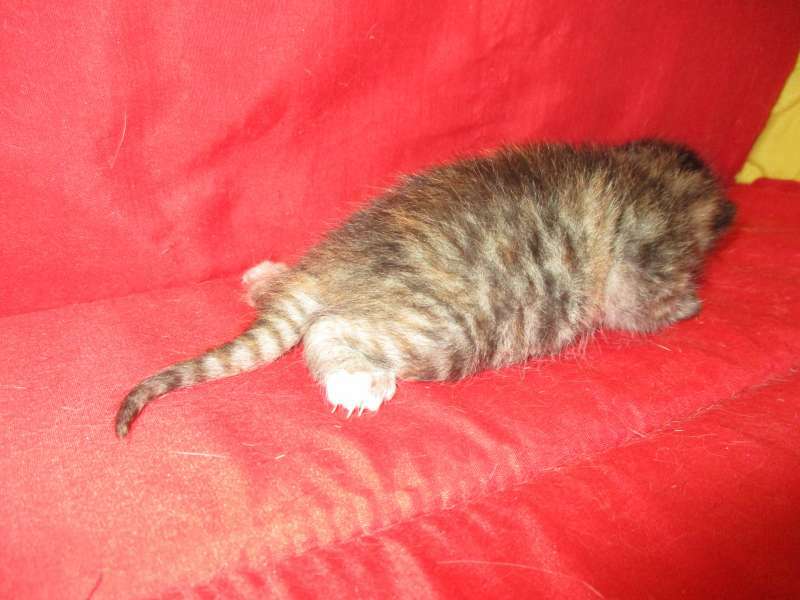 Some where between a Ginger spotted and a Brown Spotted kitten she is both. 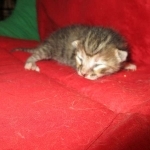 She has gone home to be my Grand daughter Lilly's BFF.